The Glittering World, by Robert Levy. Gallery. 352 pages. Hardcover $26.00. Hauntingly inventive, this debut page-turner of a novel is as creative as it is creepy. Gorgeously frightening, astonishingly creative, and ready to be a cult classic, Robert Levy’s debut novel,The Glittering World, creates a world so complete that it seems only too real. Or is that world the natural one and the world we know the distortion? Certainly on a psychological level, it is shockingly real. Four characters set out on what seems to be a simple and practical mission, but end up in a world of torment, discovery, and heightened awareness. We meet Michael “Blue” Whitley, an aspiring New York chef, as he travels to Nova Scotia to sell his grandmother Flora’s home. Blue’s mother, who ripped him away from their Starling Cove community — a hippie artist/outcast commune — when he was 5, had asked him not to visit the place, but just to get the documents signed in Halifax. The money from the sale can help Blue pay off his mounting debts and perhaps enable his dream of being chef-owner of a successful restaurant. Blue is drawn to seeing his almost forgotten birthplace, however, and what he finds is a shattering surprise not only to himself, but also his three traveling companions. 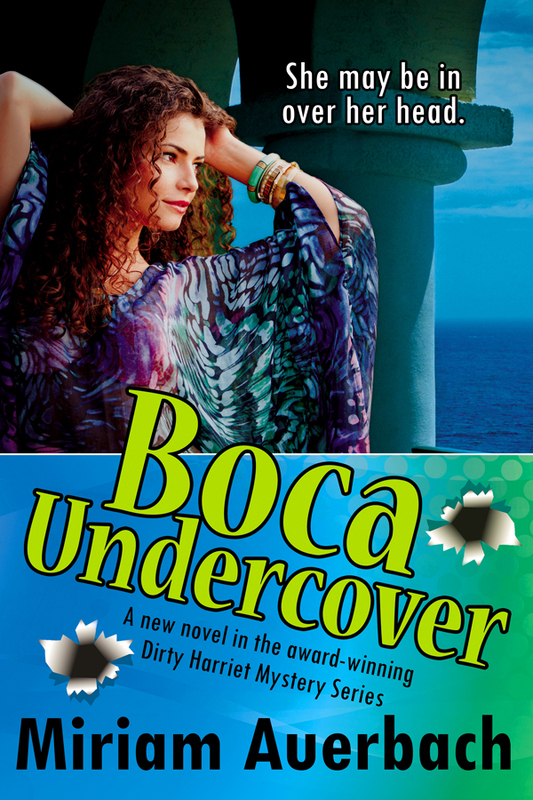 It is life-changing and threatening, as it reveals his true identity. . . .
Boca Undercover, by Miriam Auerbach. Bell Bridge Books. 160 pages. Trade paperback $10.95. This slim and sassy novel is the fourth installment in Ms. Auerbach’s Dirty Harriet Mystery Series. 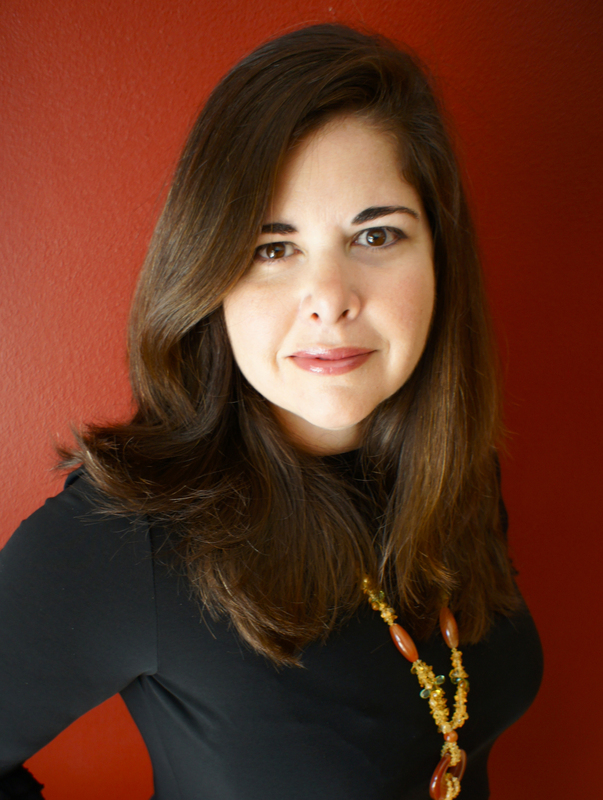 Harriet Horowitz, a private investigator, is also a reformed material girl rebelling against the glitzy ostentation of Boca Raton. These days, she embraces the natural beauty of the Everglades and unwinds riding her Harley Hugger. Turning forty, no longer the bedazzled babe she once was, and detoxed from addiction to the trivialities of her former lifestyle, Harriet answers a friend’s call for help. The friend, Gitta, a patient at a posh “resort spa / drug rehab facility for the rich and famous” known as The Oasis, claims that people are getting killed there. Gitta is frightened. Going undercover by posing as an addict ready to kick her habits, Harriet hopes she can explore Gitta’s suspicions and solve the case. The novel engages readers by describing Harriet’s skills at remaining undercover, at asking the right questions, at sizing people up, and at making fun of both The Oasis and the addicts whom it serves. Such a lavish facility becomes an emblem of Boca/Palm Beach excess. Auerbach’s satiric treatment is lots of fun. Because she has made Harriet the narrator, we get her impressions first hand in her edgy, smart-mouth style. It isn’t long before events prove Gitta’s fears to be correct. At Harriet and Gitta walk through an arboreal treat known as the Meditation Maze, they come across the body of a teenage boy with hedge clippers planted in his chest. It’s Demarcus Pritchett, a member of the group residing in the adolescent unit. Before the police arrive, Harriet is able to do a cursory examination: in one hand, Demarcus grasped an empty Coke bottle; in the other, half of a torn phone book. Other clues suggest a violent struggle. When Maria Stillwater, medical doctor for The Oasis, comes upon the scene, her only concern is that she may have to postpone her Italian vacation. So, we don’t like her already! Official and unofficial snooping reveals that the epidemic of death at The Oasis only strikes those from the adolescent unit, and that all of those kids go to the same school. A connection between the head of that special school and the funds that pay for its students’ treatment at The Oasis makes a bell go off in Harriet’s head. 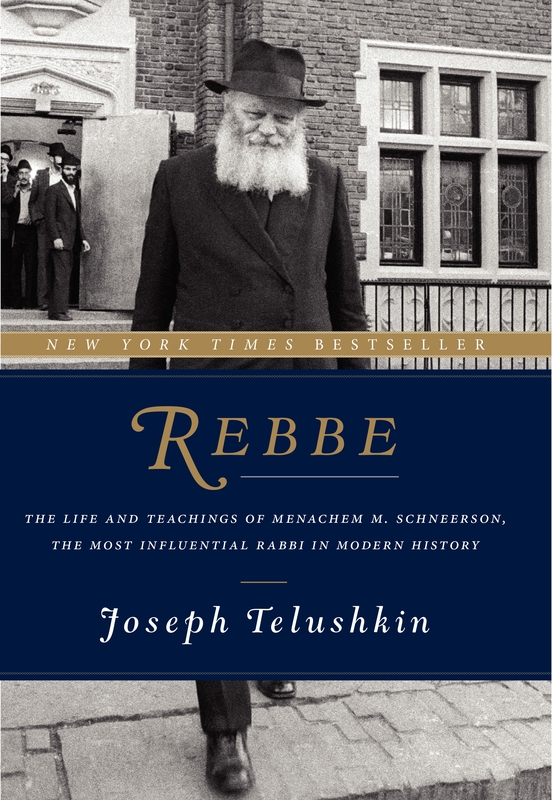 Rebbe: The Life and Teachings of Menachem M. Schneerson, the Most Influential Rabbi in Modern History, by Joseph Telushkin. Harper Wave. 640 pages. Hardcover $29.99. This is an excellent and highly original biography, one that exhibits a mature balancing of courage, judgment, and shrewdly managed resources. It comes to us at a time in which other ambitious biographies of Rabbi Schneerson have also appeared. Though I’ve only glanced at the others, my sense is that this one provides the most rounded picture. The eleventh part, at long last, is “The Life of Rabbi Menachem Mendel Schneerson,” which is called by Telushkin “A Timeline Designed to Be Read” – and so it is. I’d love to see these sixty pages reprinted as a separate pamphlet. Essentially, however, Rebbe is a collection of pointed, carefully sequenced anecdotes that require seventy pages of endnotes to substantiate. In one way or another, most of these vignettes reveal Rabbi Schneerson’s kindness, practical and scholarly wisdom, and unassuming performance as an exemplary figure. Many of the stories show him in action guiding the movement that would become one of the greatest religious outreach efforts ever. The inclusiveness of Schneerson’s Chabad vision rests on the belief that every Jew is important; indeed that all individuals are made in God’s image and thus all are important. The Chabad strategy, which operates worldwide, depends on the hard work of saving one Jewish soul at a time, enlarging the opportunity and longing for meaningful Jewish identity, and providing the foot soldiers – the young Chasidic couples who take their postings to the most remote and most Jewishly sparse locations as fortunate assignments. Telushkin’s stories about these emissaries makes the energy and warmth of Chabad Centers come alive. The author also makes clear that The Rebbe redesigned his transplanted community for the later twentieth century America to which he and so many other Jewish leaders and followers had come in the double-wake of the Holocaust and Soviet repression. Movement headquarters in Crown Heights might show signs of Old World fashion and insularity, but from it Rabbi Schneerson and his aides generated a highly dynamic, technologically current program that could reach out to and affect the diverse Jewish population. Because of his sense of mission, The Rebbe found an argument that made the traditional grand mitzvah of Aliyah take second place. He never encouraged Aliyah when it meant a needed leader would weaken his community by moving to Israel. Many other positions of the great leader were controversial. Among these was his insistence that graduates of Chabad schools (and perhaps Orthodox-leaning young adults in general) should not go on to college. Well, at least not right away. Telushkin understands this negative advice as a recognition of the seductive power of secular culture. People in their late teens and early twenties were still so unformed; why not wait – and learn – within protected religious walls before risking exposure to that seduction? The Rebbe was a consummate advice giver. He advised politicians, business leaders, and senior Israeli officials – including high-ranking military officers. His own secular studies in science and engineering had sharpened his analytical skills, perhaps even more than did his yeshiva studies in Torah and Talmud. He kept abreast of local, national, international news, forming reasoned and persuasive opinions. It may seem strange to say it, but Telushkin conjures The Rebbi as a man of the world who rarely left home. His late night to early morning meetings with seekers, most often private meetings, brought all kinds of people through the doors of Chabad Central. All seemed to leave transformed in some way. The Rebbe was quick to understand their situations and needs. With kindness and firmness, his could suggest how difficulties were opportunities and hint at fruitful directions for the seeker’s future. For thousands of Jews, one of those nighttime meetings with Rabbi Schneerson was something like a Catholic’s audience with the Pope, though probably even more life-changing. Menachem Mendel Schneerson knew how to listen. 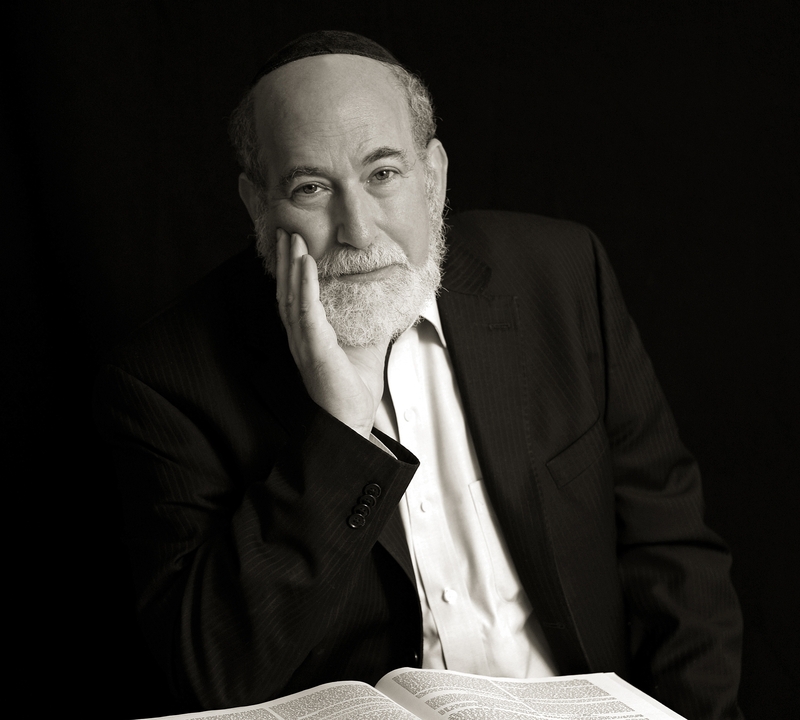 Author Telushkin records many such meetings, and he keeps readers amazed at much of Rabbi Schneerson’s time – the time that most people would be sleeping – was occupied with these one-on-once sessions. Telushkin takes on the big questions: the nature of the Chabad movement’s messianic outlook, especially as it applies to the near-anointment of The Rebbe; the family fracture when he was selected to be his father-in-law’s successor that revealed itself in the consequent crime of his wife’s nephew stealing books from Chabad’s rich library of rare treasures; and his attitudes toward evolution and toward the heliocentric planetary system. And don’t think this is some dull, pedantic shuffle of research notes and sycophantic adulation. There is plenty of edgy material in this tome. Every page is alive with fascinating information and – yes – revelation. Joseph Telushkin captures the greatness and the vibrant humanity of an exceptional leader whose leadership, though not his life, is ongoing. He allows us an abundance of glimpses at this childless man who was a spiritual father to the many people who knew him and to the many more who didn’t. In a voice at once sturdy and flexible, Joseph Telushkin justifies and adds to the very high esteem he has earned in his long career as a premier Jewish scholar for the educated masses. This review appears in the March 2015 issue of Federation Star (Jewish Federation of Collier County), L’Chayim (Jewish Federation of Lee and Charlotte Counties), and The Jewish News (Jewish Federation of Sarasota / Manatee). 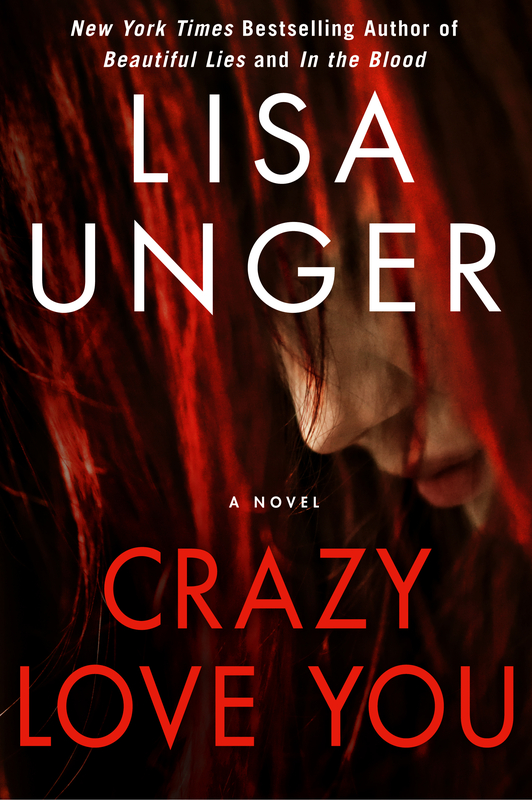 Crazy Love You, by Lisa Unger. Touchstone. 352 pages. Hardcover $25.99. Ian Paine writes graphic novels about himself. His stand-in is named Fatboy, a name Ian had to own in the cruel public school days of his youth. Unattractive, friendless, and often repressing a desperate rage, both Ian and Fatboy relate in complex ways to a character named Priss. Ian’s relationship to Priss reveals the kinship of two terms: addiction and haunting. The Hollows, Ian’s upstate New York home town, is haunting central. It is in The Hollows, as well, where Priss is most alive. I say “most alive” because her quasi-reality is one of the book’s puzzles and attractions. When Ian was a child, his only friend was Priss. He was bullied or ignored by everyone else. But she wasn’t a schoolmate. She did not attend school. No one witnessed them together. Was she really there, or only in Ian’s head? Was Priss, is Priss, the imaginary friend writ large? Since Ian is the first person narrator, credible within limits, Priss’s reality for him becomes – much of the time – her reality for the reader. However, those in Ian’s world who deny her reality are credible as well. The Priss in Ian’s Fatboy books is a seductive femme fatale. In his memory or present vision, she is not only his age – as if they had grown up together – but any one of the ages she might be – even the young girl he first met. Priss seems to be a time-traveling wraith, imprisoned by rage. Both Ian and Priss have suffered parallel family disasters in their lives, leading the reader to suspect that Priss is a projection. Like her Ian/Fatboy is never very distant from a rage that leaps out at times and controls his behavior. Though he has no memory of his destructive outbreaks, their consequences are unmistakable. Who controls whom? 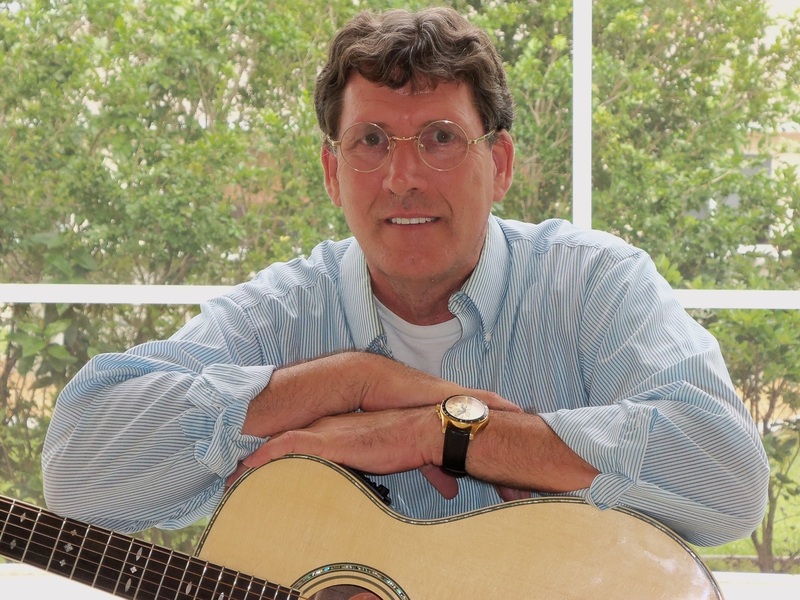 Ian, now a success, no longer ugly and overweight, manages his anxieties with drugs. He uses them to smooth things out. At times, he frees himself, but dependency returns. Narcotics allow him to do his creative work. Priss is another kind of addiction. Can addictions ever be good for you? Necessary? Or only life-threatening. Good news comes into Ian’s life in the person of beautiful, generous Megan. She makes her version of normality shine brightly. Feeling his unworthiness, Ian is amazed at how quickly their relationship progresses. He can’t help but reveal his many faults, but Megan finds ways of accepting his excuses – up to a point. Her parents can’t stand him, but there’s nothing new about that plot point. She’s an adult. She seems sure of herself. They grin falsely and bear it. Slowly and with many setbacks, with Priss interfering in the most threatening ways, Ian builds the better self that will be worthy of Megan. It frightens him, however, that she wishes for them to live in The Hollows. So much that Ian has striven to escape is rooted there: childhood trauma, rejection, and Priss. How can this work? I won’t tell you. . . . To read the full review, as it appears in the February 18, 2015 Fort Myers Florida Weekly and the February 19 Naples, Bonita Springs, and Punta Gorda / Port Charlotte edtions, click here Florida Weekly – Crazy Love You 1 and here Florida Weekly – Crazy Love You 2. 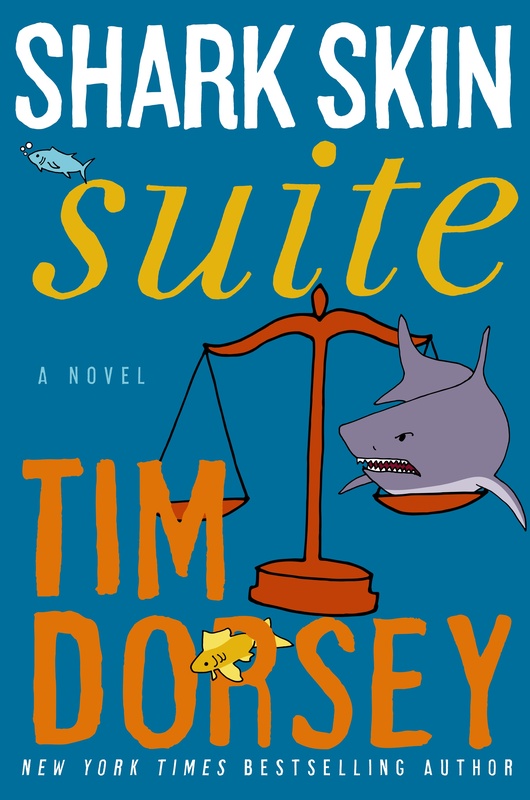 Shark Skin Suite, by Tim Dorsey. William Morrow. 336 pages. Hardcover $26.99. You will laugh so hard that you’ll fall off the plot lines. But don’t worry. Mr. Dorsey will help you get back on them, off them, and on them again. 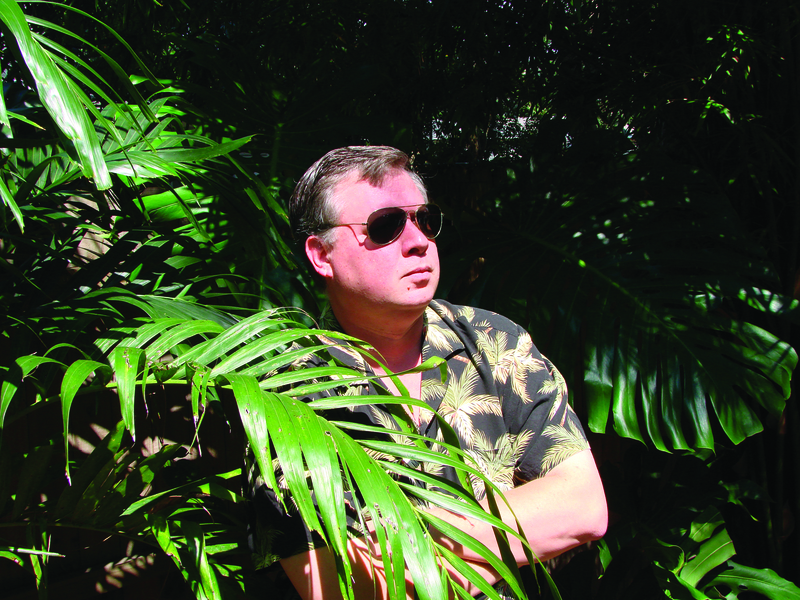 What we have here is an episodic, picaresque novel, belatedly in the tradition of “Don Quixote de la Mancha.” Serge Storms, the hero of record in Tim Dorsey’s long-running series, is a knight errant transported to contemporary Florida, a place with plenty of windmills at which to tilt. Serge doesn’t have to imagine adversaries; they are only too real. Serge is an easy-to-love homicidal maniac. His buddy Coleman is his Sancho Panza. Okay, I’ll drop the World Lit 101 and get back to business. Who are the bad guys of our time? Why, of course the financial institutions that gave us the mortgage foreclosure nightmare and the lawyers who struggled, sometimes unscrupulously, to defend them. Enter Brook Campanella, former flame to Serge and now a young lawyer damsel in distress. Yes, there are good guy lawyers, too, and Serge is cutting every corner so he can to pass as one. 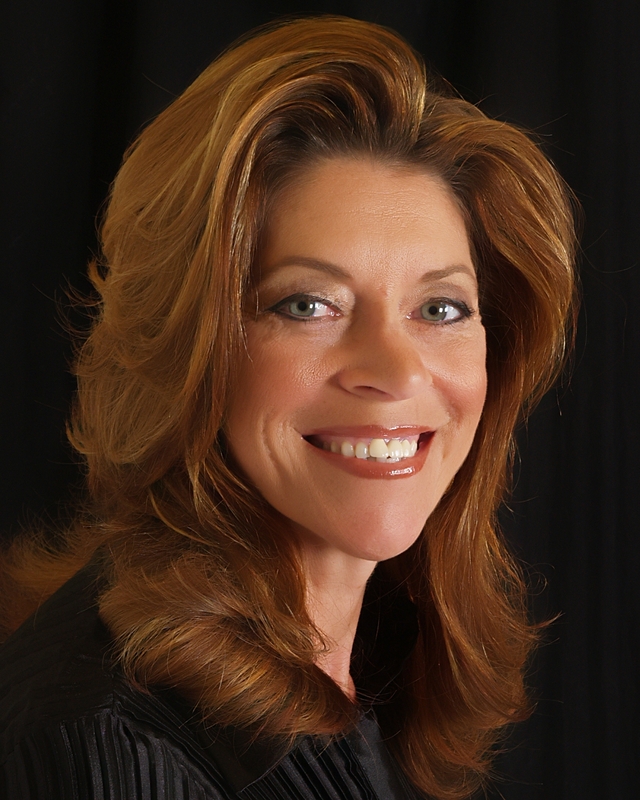 After seeing Brook in action, a good-sized Florida firm hires her and quickly gives her a case that would seem to be beyond her. Coupled with one of the firm’s equally inexperienced staffers, Brook sets out to argue a class action case against a bank gone wild but that has powerful, corrupt legal representation. There are hints of collusion between Brook’s firm and the bank’s – is her assignment a set-up? Is she supposed to fail so that both law firms somehow win? Guess what? She’s so darn good that she’s winning the case! That wasn’t the plan. Perhaps it would be best if she not continue. Maybe she can be discredited, or frightened, or worse. Her co-council disappears. Who’s next? Where is Serge? He seems to be on a bender of feverish imagination and unchained impulse, often accompanied by drugged out Coleman and with a shifting retinue of other strange characters. We follow Serge as he scrambles around the state looking for the locales of his favorite set-in-Florida films (even though most were made in Hollywood studies). We observe his attempts to turn his self-induced legal education into a scheme for bringing him easy money. And we enjoy his relationship with a new buddy, an out of work journalist, as part of Mr. Dorsey’s hilarious exposé of another segment of our time’s bad guys: the greedy media outfits. . . .
Where the Falcon Flies, by August Sterling. Barringer Publishing. 280 pages. Trade paperback $14.95. This is a very sweet novel: gentle, buoyant, and inspiring. Can sweetness thrive in contemporary fiction? I’m pleased to know that books like this one are being written and published. They deserve an audience. Enough with the doom and darkness already! Cassie “The Falcon” Peregrine is an attractive, sensitive young woman just finishing junior college. Baseball is her passion, the arena in which she feels fulfilled and at home. From the Chicago area suburban village of Hebron, this avid Cubs fan plays for a local team in a semi-pro league. She is well-liked, with supportive parents who respect her wishes while worrying about her future. Her life begins to change rapidly when a savvy, respected scout sees her play. Brock Starwood, who scouts for the Cubs system, comes to check out a pitching prospect on the opposing team. However, Cassie’s all-around play and all-out style captivates him. Although no women were playing in the minor leagues, Starwood feels that Cassie has the talent to go all the way to the majors. He knew the obstacles that stood in her way: tradition, male chauvinism, taunting, and worse. Nevertheless, Starwood made an appointment to meet Cassie and her family, and the outcome was the offer of a three-year contract to play for the Berkshire Bears, the AA league affiliate of the Chicago Cubs. Only Starwood could have persuaded the higher-ups to make such a deal; he was courageous enough to put his reputation on the line. Once Cassie signs, she is off to her new home in Pittsfield, Massachusetts. 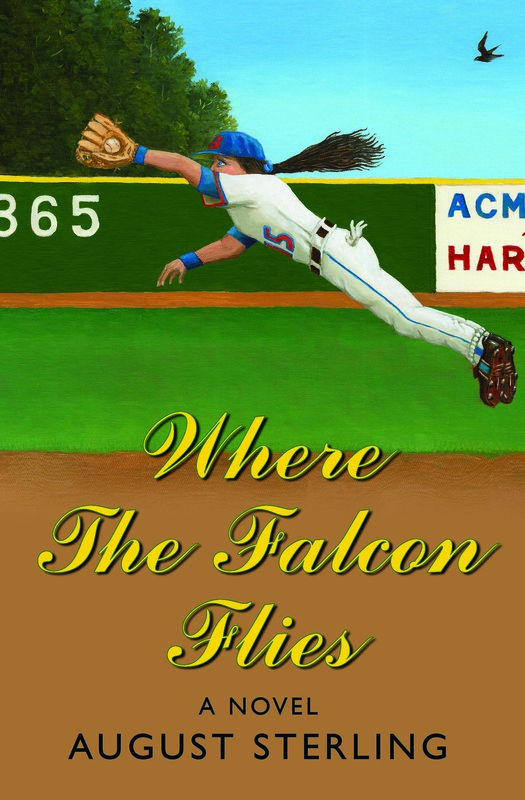 August Sterling does a fine job of characterizing Cassie both as a young woman and as “The Falcon,” a fledgling professional second baseman. He shows her in the context of family and friends as well as in the context of the ball field, the dugout, and the locker room. The tension between these two identities provides considerable interest and suspense. As Cassie takes the long auto trip to Pittsfield, her thoughts involve this same tension, a mixture of anxiety and ambition. By the time she makes a stopover in Cooperstown, New York to pay homage to the greats memorialized the National Baseball Hall of Fame, Mr. Sterling has quite fully won his readers over. We care about Cassie: her dream and her destiny. Once she is introduced to the team, her trials and opportunities begin. Cassie balks (clever choice?) at any hint of favoritism because she is a woman, knowing this is already suspected and will backfire anyway. And yet she must accept private living quarters and private bathroom facilities. She doesn’t so much want to be one of the boys, but one of the team members. . . .
To read the entire review, as it appears in the February 4, 2015 Fort Myers Florida Weekly, the February 5 Naples and Bonita Springs editions, and the February 19 Palm Beach Gardens/Jupiter and Palm Beach/West Palm Beach editions, click here: Florida Weekly – Sterling 1 and here: Florida Weekly – Sterling 2.